Capt. Jerome Judd of the JUN KEN PO decided to run a 9-inch Gary Eoff Ahi-P lure behind a bird and it paid off when Ken Cort got to fight his first blue marlin. 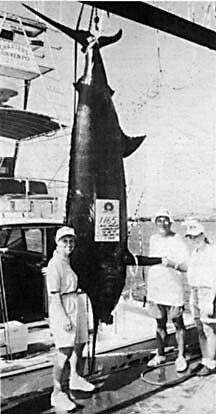 It was Kona's second grander of 1994 and was caught on 100-lb test line.